Whatever the project, the same applied principles of physics, geometry, and math are used to build pioneering structures. But, keep in mind that all the information in this program feature is eventually used for a practical, hands-on application—that is, to build something. 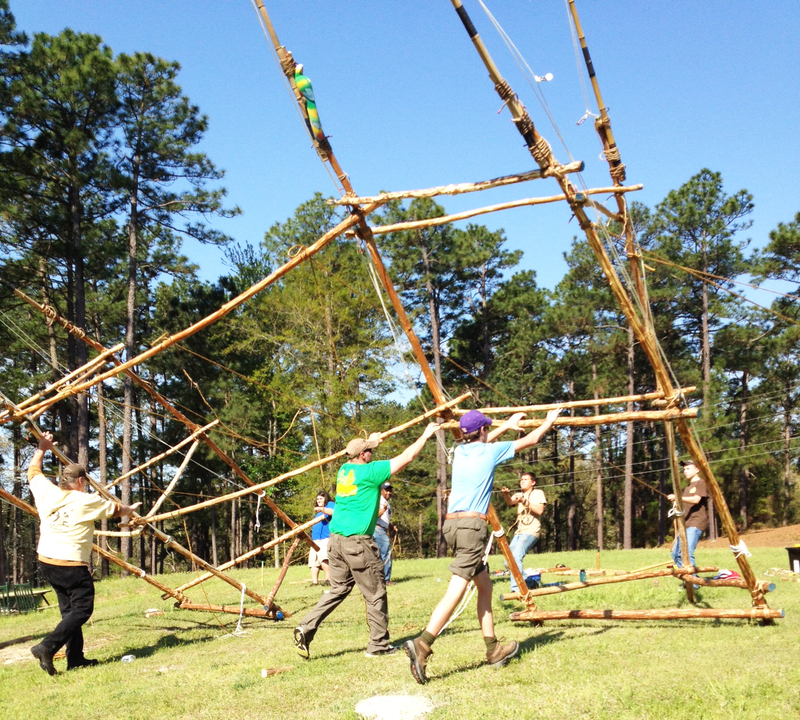 Pioneering is a good foundation for many Scouting activities. You must learn, and then put into practice, such disciplines as planning ahead and teamwork. 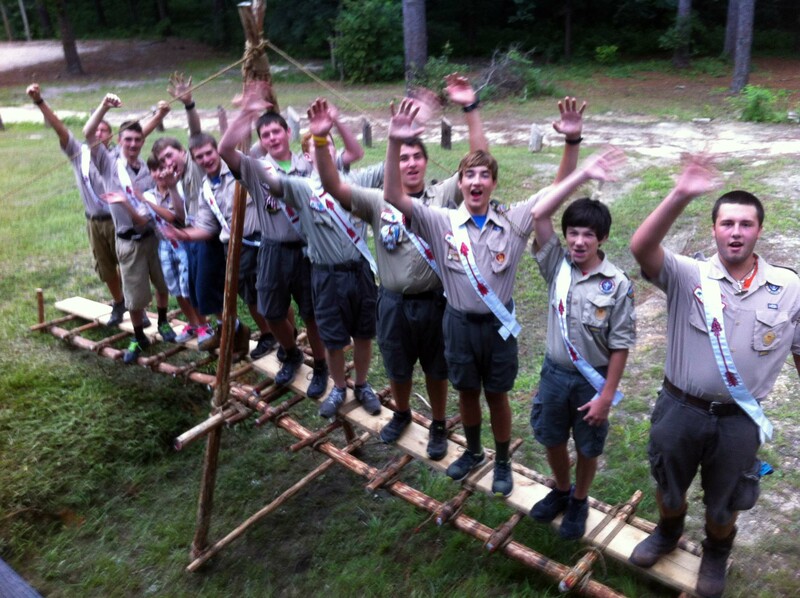 You can also put to use the basic skills learned in rank advancement, such as knot tying and lashing. But most of all, pioneering provides a practical way to experience the joy of accomplishment when you’ve built something that is useful for yourself or others. 9) When lifting a spar to facilitate the frapping of a Tripod or Shear Lashing, care should always be taken to ensure the person working the rope doesn’t injure their fingers.